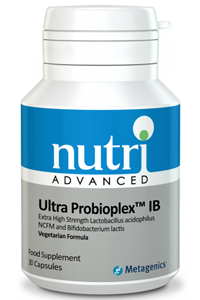 Nutri Advanced Ultra Probioplex IB is a powerful formula containing 60 billion live organisms. Ultra Probioplex IB is produced in a freeze-dried form and refrigerated during storage and shipping for maximum stability. Ultra Probioplex IB provides a guaranteed potency of 60 billion L.acidophilus and B.lactis organisms per serving through to the date of expiry. 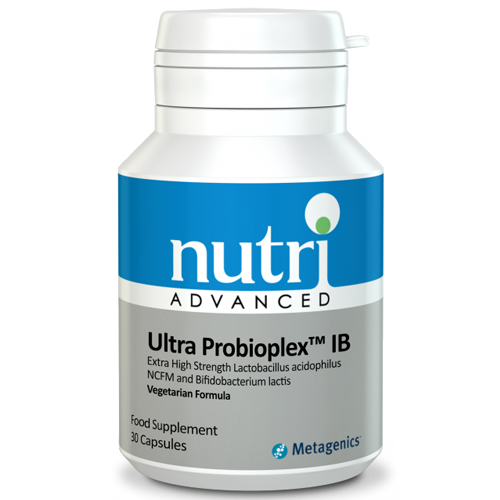 Nutri Advanced Ultra Probioplex IB also contains vitamin D, which contributes to the normal function of the immune system. 1 capsule one to two times daily. Encapsulated with:, Magnesium stearate, Microcrystalline cellulose, Hydroxypropylmethylcellulose, Silicon dioxide.